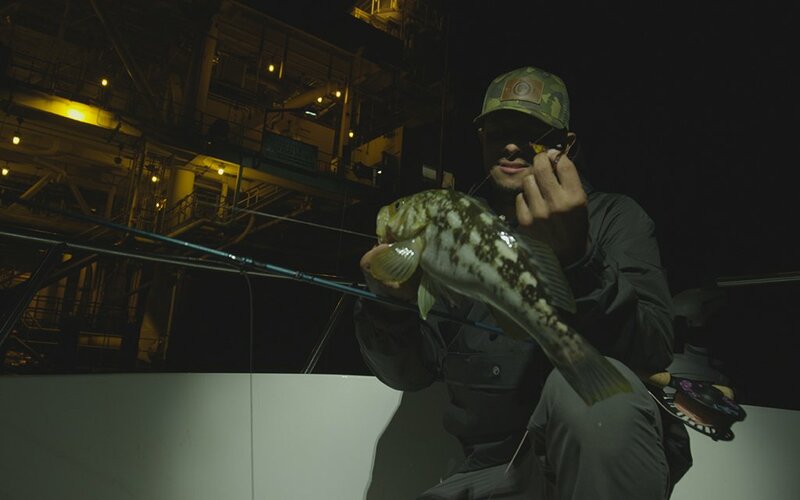 On the East Coast, fly fishermen shoot for tarpon and false albacore. But this is Southern California. Our targets have a little more, uh, tenacity. 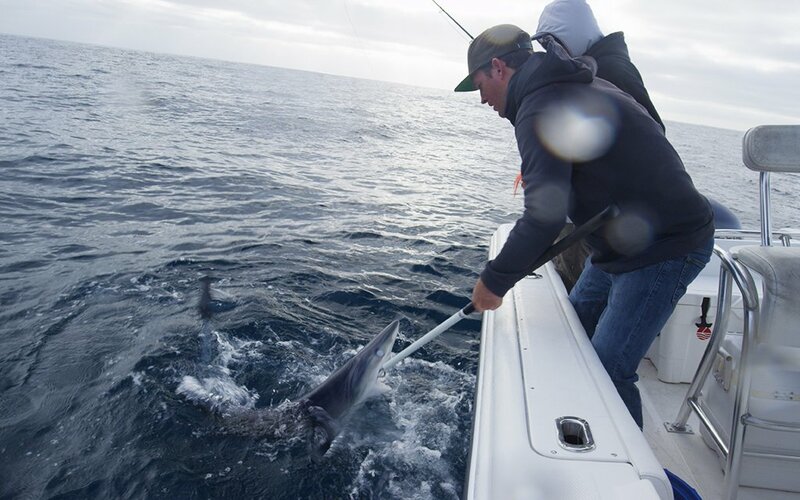 Ever felt a mako shark on the business end of your rod? L.A.’s fishing scene is more active — and diverse — than you think. 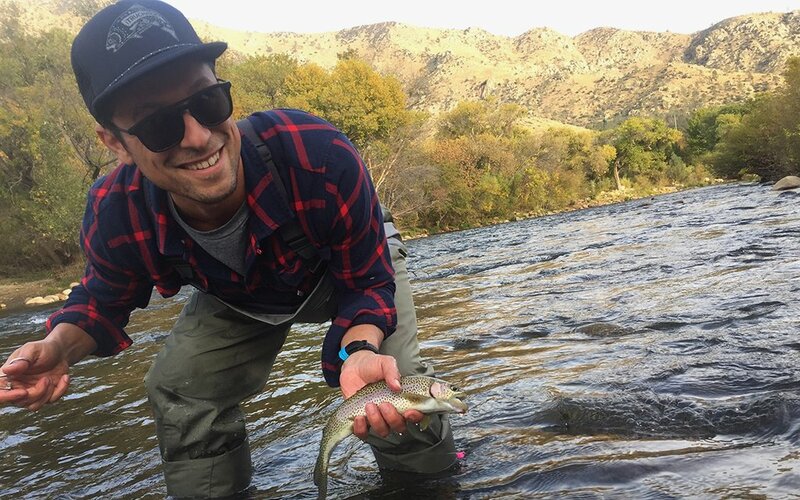 From landing carp in the sludge of the L.A. River to bagging a lunker offshore, we’ve got five local trips cover the gamut of Southern California’s offerings. Before we get started, a quick note on gearing up. 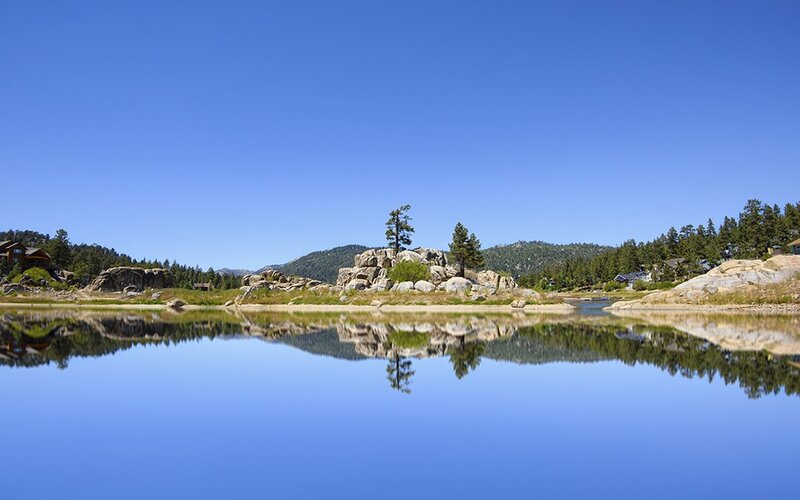 Fly fishing is typically a rich man’s sport, with a golf-level barrier of entry. But that taboo is fading thanks to brands like Redington, which made the video (above) that inspired this story. 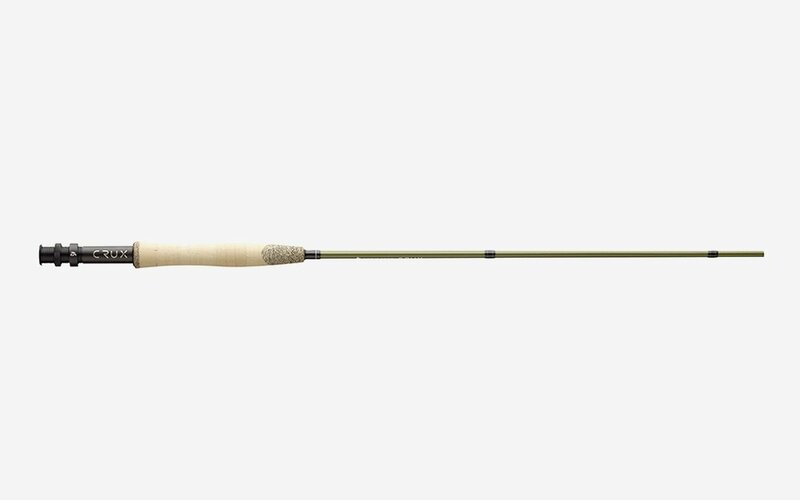 Unlike a lot of the hip new brands touting fly-fishing gear, Redington’s can actually handle a serious beating; it’s made by the same company that makes the venerable Sage rods, only for half the price. Take their gear to the spots below, and before you go, be sure to purchase a fishing license. 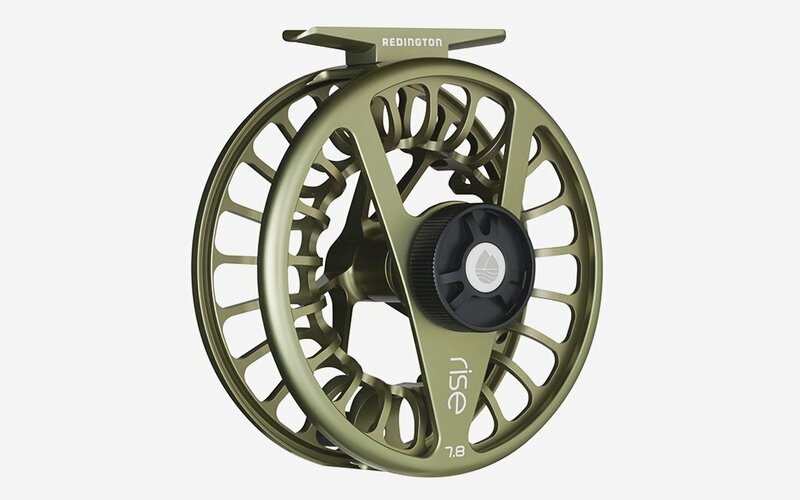 What to use: Redington’s Crux rod and a Rise reel. 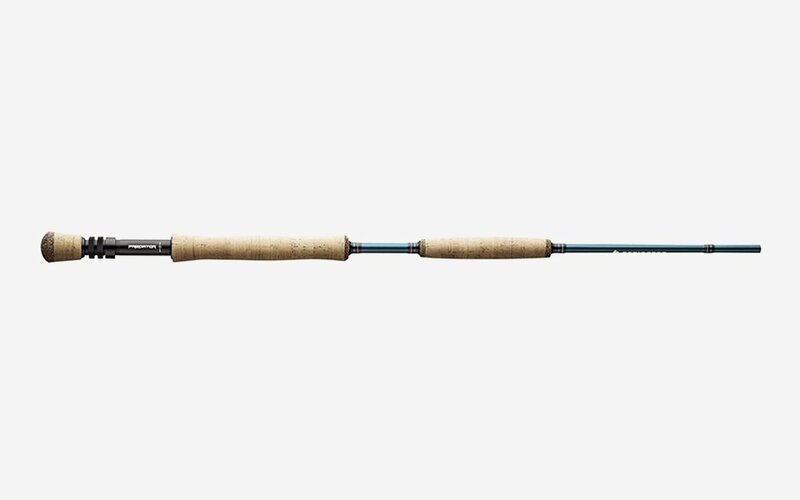 The rod is fast action, meaning it can handle windy conditions and strong fish like carp, large trout or steelhead (should you leave town). Back it up with Rio’s Big and Nasty Leader, a Powerflex Tippet and a 4x line. All of this is available at the Fisherman’s Spot. Note that the fast-action rod is less forgiving on your cast, so you need to use some skill to keep the line from smacking the water. Practice your 10-to-2s in the backyard. What to wear: Patagonia’s ultralight wading boots will keep you glued to the ground. They also clean up easy, which is an important thing to do after trips, because bacteria from one stream can cause havoc on another. Topo’s tech pants dry quicker than any we’ve tested and fit great. 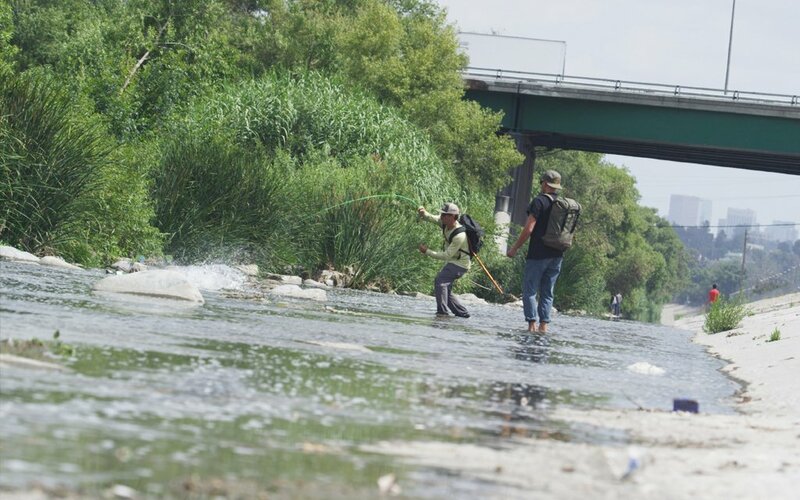 Notes: L.A. River fishing gets better in the winter because the cooler temperatures stymie the algae blooms, which can stink and gunk up your fishing line. Enter around the Atwater Village area and work northwest. 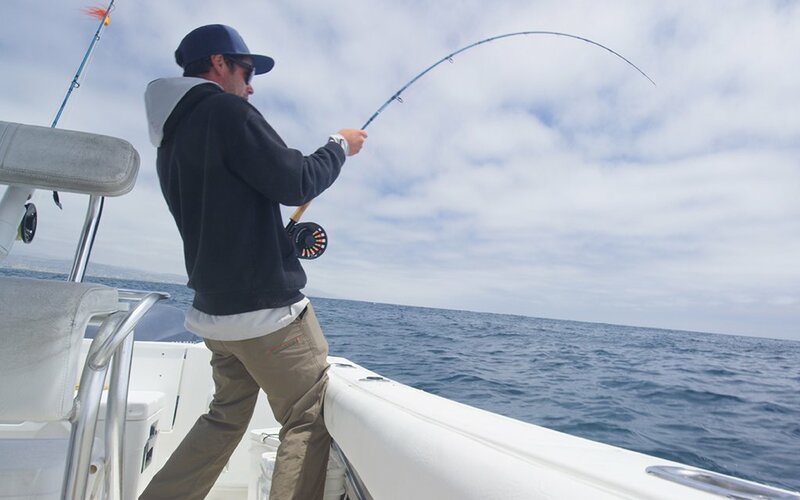 What to use: The Predator rod and Behemoth reel can handle long casts, winds and swift currents, and they’ll give you the backbone when you hook a serious mako. The real key, though, is using Rio GT leader with an added 60-feet of 86-lb. stainless-steel line to make sure Jaws doesn’t snap your line. What to wear: Bring sunscreen even if it’s cold, and consider full-cover clothes like the SonicDry with SPF or Topo’s Field Jacket, which wicks water very well. For hats, Redington’s Truchador trucker hat combines the toughness of a trucker with a flat brim true to the West Coast, bra. Notes: We’ve yet to do this one because the season ended, but we’ll be out there when it kicks up again next spring. What to use: The Predator rod and the Behemoth reel will work here as well. Add a Fluorflex leader with an InTouch Striper line to sink your lure to 30 feet, which is helpful if you’re fishing from a boat. What to wear: Same as offshore. Notes: You can do this year-round, and the fishing is great around the ports. 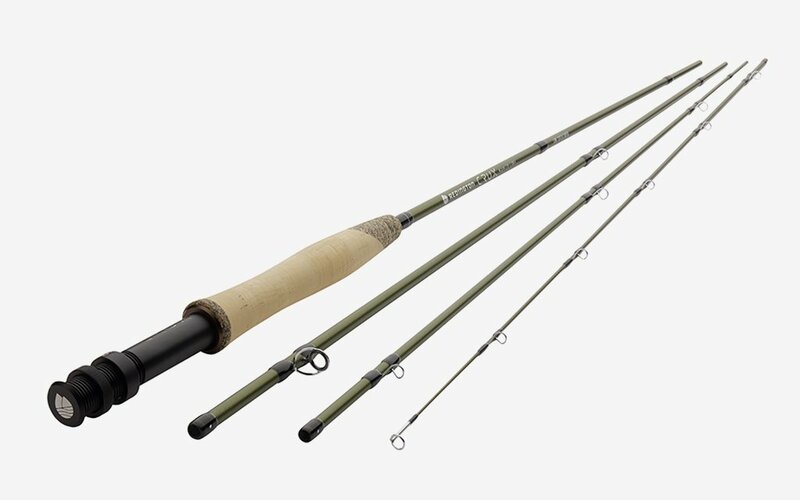 What to use: Redington’s Crux rod and Rise reel. You can pick these things up, along with seasonal flies, at Kern River Fly Fishing. Note: they offer free lessons with your first rod purchase. Use the Big Nasty Leader and Powerflex Tippet here, too, but you can vary between 4x and 5x line (don’t go thinner than that). Note: the higher the number, the thinner the line — trout spook easily and if they see the fishing line they won’t eat what’s floating near it. Just know that when you’re using a thinner line you’ll have to use more finesse to land the fish. What to wear: Those Patagonia boots along with their Skeena River Waders, which are hands down the best for the money. These have an interior dry pocket for your phone and keys, an accessible front pocket for a fly box and even a fleece hand-warming pocket. They’re super comfy. Topo’s field shirt is great here, and if it’s cold out, you can layer with either Redington’s Drifter or Patagonia’s minimalist wading jacket. 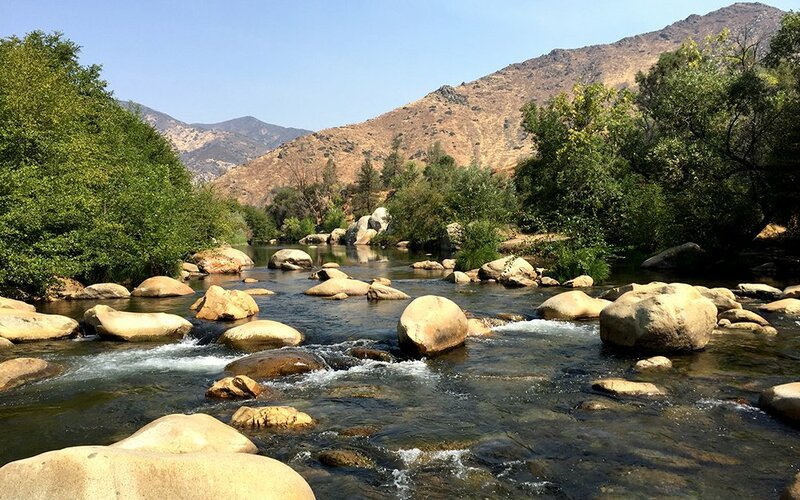 Notes: Kern River Fly Fishing releases fishing reports often, so check their blog on where to go. Otherwise, the 20 miles between town and the Johnsondale Bridge area is prime water with native trout. Afterwards, stop into the Kern River Brewing Company for a blue cheese burger, some big waffle fries and flavorful beers. 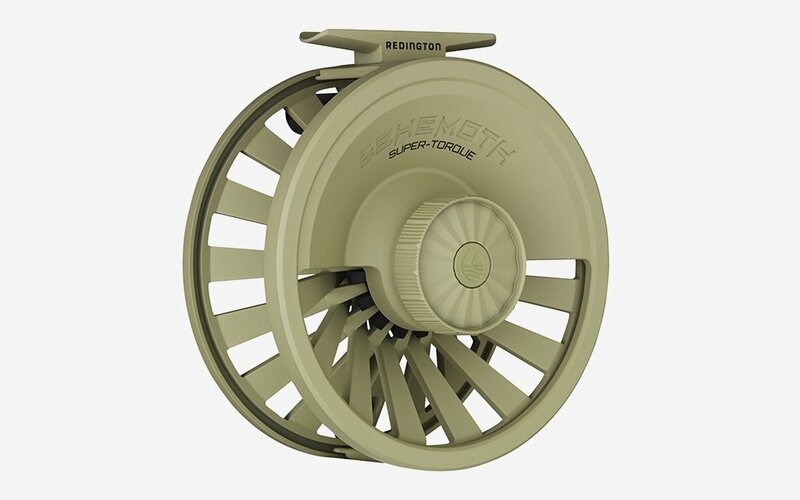 What to use: The Crux rod and the Behemoth reel. You’ll want a small boat for this one. We like using Oru’s Bay Kayak; add a rod holder for easier paddling. You’ll also want to bring a Yeti Hopper for the boat, since you’ll be on the water all day. 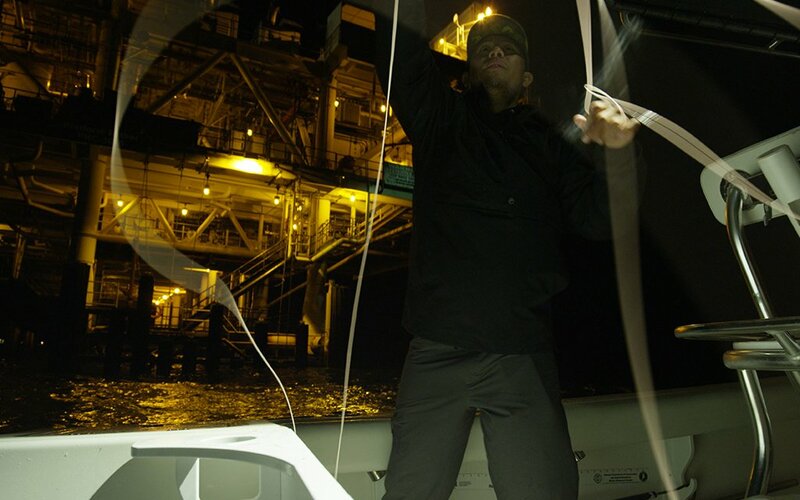 Use Fluorflex leader with an InTouch Striper line that’ll sink 30 feet. What to wear: You can mix and match from the above. 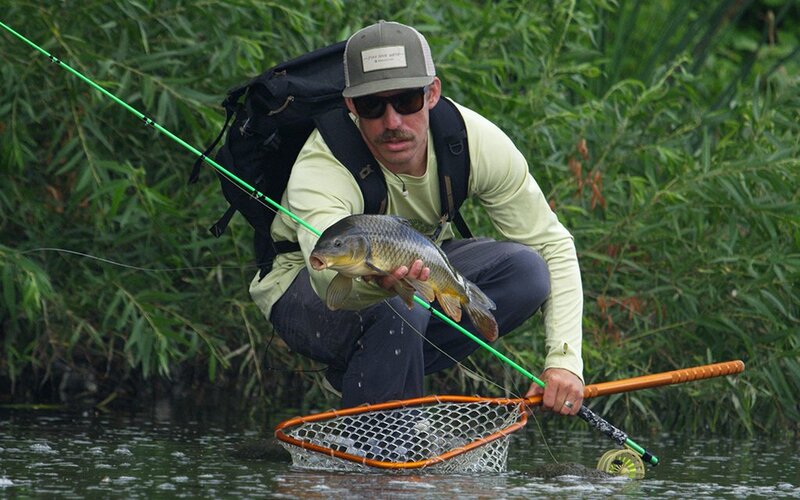 The Topo tech pants and Redington SonicDry shirt should keep you cool and protected. Notes: This is a summer trip, as that water will be freezing cold until the later spring.